The National Iranian American Council (NIAC) applauds the Treasury Department for extending a sanctions waiver to help enable ongoing earthquake relief efforts in northern Iran, and calls for additional steps to ensure sanctions do not continue to block transactions of food and medicine. Last week, Iranian Americans from across the country visited Capitol Hill as part of NIAC’s annual leadership conference to encourage their Representatives to send a Congressional letter urging the White House to extend the earthquake relief waiver and to take further action to enable food and medicine to reach Iranians. The earthquake waiver, which was first issued in August after deadly earthquakes struck northern Iran, is intended to allow American charities to send direct humanitarian aid to help with relief efforts in Iran. In addition to earthquake relief, food, medicine, and humanitarian goods are already legally exempt from sanctions, but are increasingly difficult to export to Iran due to Executive Order sanctions on Iran’s banks. 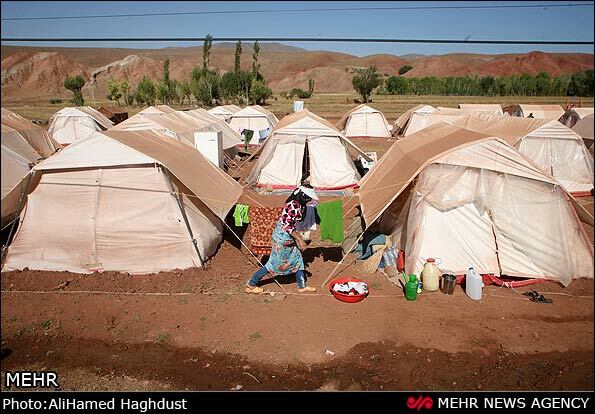 Some relief organizations have been forced to fly suitcases of cash into Iran in order to provide earthquake relief. And reports out of Iran point to shortages of medicine and food as resulting directly from the U.S. banking sanctions on Iran. NIAC thanks Rep. Dennis Kucinich (D-OH) and the eleven cosigners of the letter to the Administration, and calls on the Obama Administration to take the additional steps necessary so that food, medicine, and humanitarian relief can reach Iran. There are a number of nonprofit organizations working to provide disaster assistance, including Moms Against Poverty, Relief International, Children of Persia, and Child Foundation. The waiver now applies until November 19.